Buddha Resort is the flagship of well diversified Buddha Group, which has outstanding credentials in the field of Travel, Hospitality, Food, Education & Retail business (a good place for stay in Lucknow). Lush green forest... meandering river... panoramic natural view... magical sunsets, sweet caressing breeze... the fragrance of flora and the melody of chirping birds - set amidst the serene tranquility of nature's lap, Buddha Resort, gives you the most relaxing holiday you've ever had. It is the best place to stay in lucknow, tourist love to spent holiday in lucknow. Owing to world class facility and services, & maintaining highest safety standards, we have become a pioneer in the concerned hospitality sector. 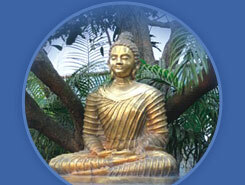 Buddha Resort is the perfect destination and best palce to stay in lucknow, retreat which is situated in a sprawling space of 62 acres of land at Lucknow. 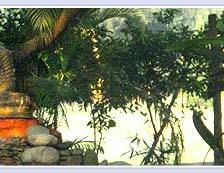 Our resorts in lucknow will surely make your stay pleasant and cherishing. The decor combined with the soothing location and ambiance allows the guest to enjoy a relaxing and refreshing stay at the luxurious rooms of the resort. The resort is easily accessible by road, by air and by rail. The railway station and airport are both well connected to our resort by roads. 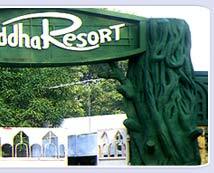 The resort is also well connected with other parts of the state making it a very accessible holiday destination. The central location with excellent accessibility and luxurious rooms make our hotel a best place to stay in lucknowe. Well furnished with aesthetic ambiance, we provide various facilities that includes Conference Hall, Multi-cuisine Restaurant, Swimming Pool, Discotheque, Health Club, Luxurious rooms and many more. All these are aesthetically decorated and are provided with requisite amenities to ensure a comfortable and pleasurable accomodation for our guests in lucknow. 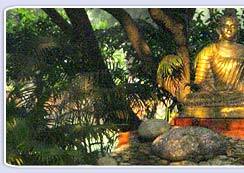 As a preferred choice amongst various resorts, Buddha Resort is well known for its warm hospitality services. 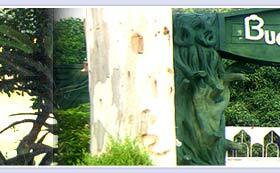 We assure out guests a cherished stay in lucknow with ultra modern facilities & services. We offer variety of services including esorts in lucknow, accommodation in lucknow, budget resort in lucknow, budget accommodation in lucknow, lucknow resorts, beautiful resort in lucknow, weekends in lucknow, holidays in lucknow, resort accommodation in lucknow, budget resort accommodation in lucknow, lucknow accommodation reservations, lucknow accommodation resorts, place to stay in lucknow city. Working as customer centric organization, we aim at delivering maximum comfort to our guests.